Now is the time to pull the trigger and invest in that Doughboy pool that you have been dreaming about. Doughboy is offering their Dough for a Doughboy event which gives you a $500 off coupon when you purchase a full Doughboy pool package. This is an incredible savings! When you purchase a Doughboy pool you are not only getting an American made pool that will provide a lifetime of enjoyment for you and your family, but you are also getting a top of the line pool that will outlast the competitors every time. 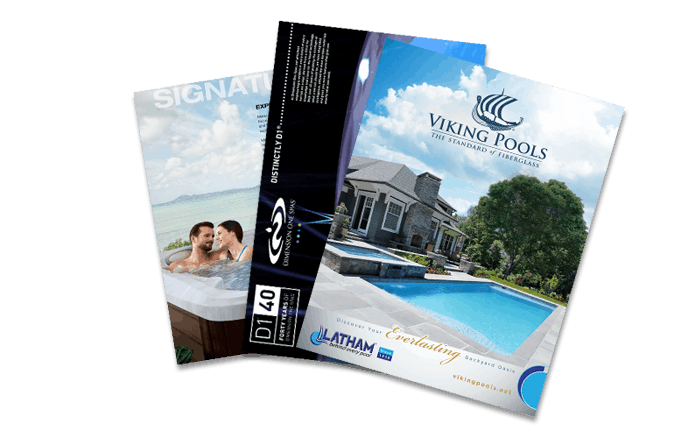 Doughboy pools are made with the highest quality materials and they are the only pool manufacturer in the world that makes everything they sell from raw materials. Doughboy liners even have Therma-Seal Technology that allows them to provide a 100% lifetime warranty against seam failures. So you know that when you invest in a Doughboy pool you are investing in a product that you can be proud of. When you purchase your Doughboy pool through Aqua Pools, you will also be getting top of the line customer service from a store that has been in the pool business for over 40 years and will be around to help you with pool maintenance for years to come. So what are you waiting for? Stop by one of our showrooms and take advantage of this incredible $500 savings opportunity. Don’t delay, Dough for a Doughboy is only redeemable now through June 15th!